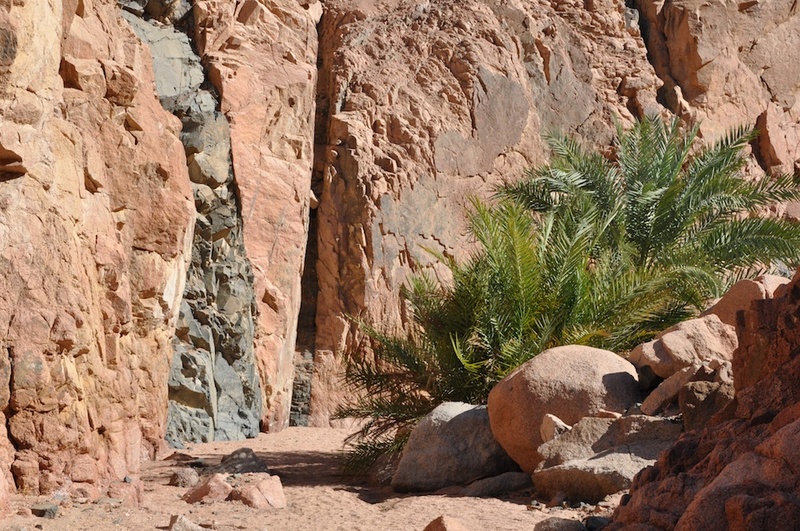 Wadi Gnai is a little oasis and one could say that it is located directly behind the Sunsplash Divers Resort’s backdoor. 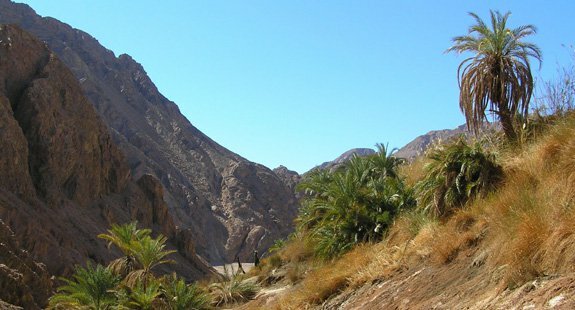 Hike through this calming landscape, into the palm grove and the abandoned gardens of the Bedouins. As there’s water in Wadi Gnai it is always lush and green – and in the rare event of rain you will be able to find many different types of desert flowers in full bloom. 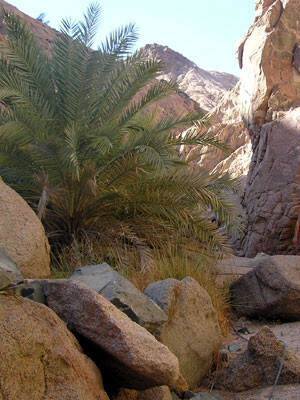 Wadi Gnai awaits you with its colorful natural spectacle. Experience the beauty of the desert with us!. We would recommend you to bring good footwear, as we will also need to climb some smaller passages.